In this two-week class, you’ll learn basic netting stitch, one of the main stitches of the art of beadweaving. 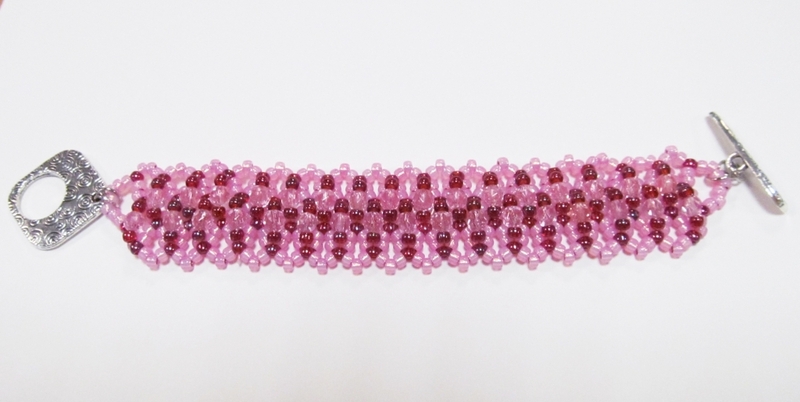 In the first class, you’ll learn the stitch, and make the main band of your bracelet. In the second class, you’ll finish the bracelet by attaching the clasp and adding adornments of your choice. All materials are included.